Are you seeking for RPSC Assistant Engineer Recruitment 2018? If Yes. There is a good news for you. Rajasthan Public Service Commission has declared 916 Vacancy for the post of Assistant Engineer. Participants who are interested in Government Jobs must apply for Rajasthan PSC AE Vacancy 2018 from 30 April 2018. Before applying for RPSC AE Jobs 2018 applicants must check eligibility criteria, age limit and pay scale. Participants may also download RPSC Assistant Engineer Notification 2018 either from links provided here or from the official website. Rajasthan Public Service Commission has announced 916 vacancies for candidates who belong to the engineering field. Candidates may apply for RPSC Assistant Engineer Recruitment 2018 before last date 29.05.2018. Applicants can fill up their Application Forms without waiting for the last date. Here we provide you brief detail about Rajasthan PSC Vacancy 2018 given below. Rajasthan PSC is going to conduct written test for RPSC Assistant Engineer Vacancy 2018. For Furthermore details applicants should check Rajasthan PSC AE Recruitment 2018. Fresh Update as on 25.05.2018: RPSC has announced 916 Assistant Engineer Vacancy. Applicants who are interested in Rajasthan PSC AE Jobs 2018 must apply before the last date. Aspirants are informed that RPSC Assistant Engineer last date is near so participants should be registered as soon as possible. Here we gave you links to Apply online for RPSC AE Vacancy 2018. Participants can check here division of vacancy according to a requirement of different Department. Here we provided you table which shows you a number of vacant post in different fields such as Civil, Mechanical, and Electrical. Applicants should download RPSC AE Vacancy 2018 Notification either from Rajasthan PSC Jobs 2018 Official Website or from Links given below. Participants who are going to apply for RPSC Assistant Engineer Recruitment 2018 must check eligibility criteria here. Applicants who do not found eligible for Rajasthan PSC AE Vacancy 2018 their forms will be rejected. Candidates should check here Rajasthan PSC AE Jobs 2018 Notification with the help of links provided here. Aspirants must download RPSC Assistant Engineer Bharti 2018 Pdf from links given here. Candidates who are interested in Rajasthan PSC AE Recruitment 2018 must have Degree in Civil/Electrical/ Mechanical/ Agriculture Engineering from University established by law in Indian. Candidates may also have knowledge of Rajasthani Culture and Hindi in Devanagari Script. For furthermore details applicants must read RPSC AE Vacancy 2018 Notification carefully. Participants may also check selection process for RPSC Assistant Engineer Jobs 2018. Applicants who belong to General / Unreserved Category should complete 21 years of their age and not more than 40 years of age. 5 years of age relaxation is given to Applicants who belong to SC/ST/OBC. for furthermore age relaxation candidates must consult official notification of RPSC AE Vacancy 2018. Participants should download RPSC Assistant Engineer Notification 2018 either from links provided here or from the official website. 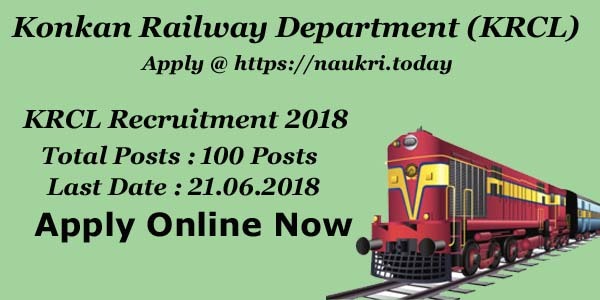 Candidates can apply for RPSC Assistant Engineer Jobs 2018 with the help of links given here. Rajasthan Public Service Commission set pay scale on the basis of Pay Matrix Level (L-14). Applicants must read all the details carefully before applying for RPSC AE Jobs 2018. For furthermore details candidates must consult official RPSC AE Notification 2018. Here we provided you easy steps to download Rajasthan PSC AE Recruitment 2018 notification. Rajasthan Public Service Commission has going to conduct written test for RPSC AE Recruitment 2018. Participants are selected on the basis of marks obtained in written exam for Rajasthan PSC Assistant Engineer Jobs 2018. Candidates can check RPSC AE Notification for more details. Written Test will contain two parts: Pre Examination and Mains Examination. RPSC mains exam Duration 2hour for per subject and total marks for per subject is total 200 Marks. Candidates may pay their fee Online through Internet Banking, Credit Card, Debit card. Applicants should consult official Notification of RPSC AE Jobs 2018 either from links given here or from the official website. Eligible and interested candidates may apply through online mode from here or official site. Before apply online for Rajasthan PSC Assistant Engineer Vacancy you must have valid email id & scan copy of require documents. Now they can follow some given instructions to apply online for RPSC राजस्थान लोक सेवा आयोग अभियांत्रिकी भर्ती 2018. First of all, applicants log on to the official site of RPSC AE Vacancy 2018 i.e. rpsc.rajasthan.gov.in. 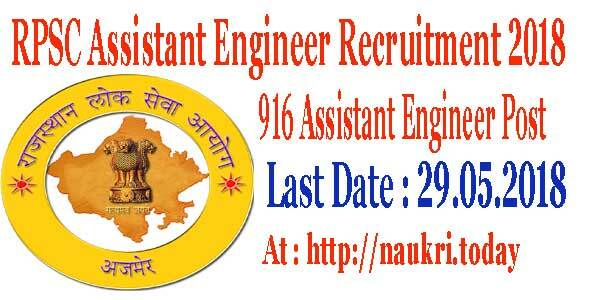 Go to Notification section and download RPSC Assistant Engineer Advertisement. Read it carefully and then go to so portal sso.rajasthan.gov.in. If you are already registered then login using your mail id & password. Otherwise first go to one-time registration for RPSC AE Recruitment 2018. Enter all required information on your RPSC AE Online Form. Then submit your application form. Take print out of RPSC Assistant Engineer Application Form 2018 for future uses. You can directly apply online through below link. Conclusion : Rajasthan Public Service Commission has recently published employment notification for recruitment of 916 AE Posts. RPSC Assistant Engineer Recruitment 2018 Application form is available from 13th April 2018. Applicants can apply for Rajasthan PSC AE Bharti either here or official portal.